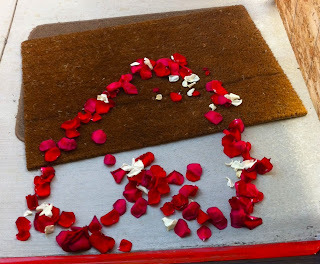 My son and I were leaving home when we found this beautiful heart made of petals at our entrance! I felt so honored! Whoever did it... thank you so much! que incrível hein ? logo hj ! For all you are doing... you deserve!